I am a big fan of WhatsApp messenger , a BBM like messengers application, which works on Android, iPhone, Blackberry, and Nokia. 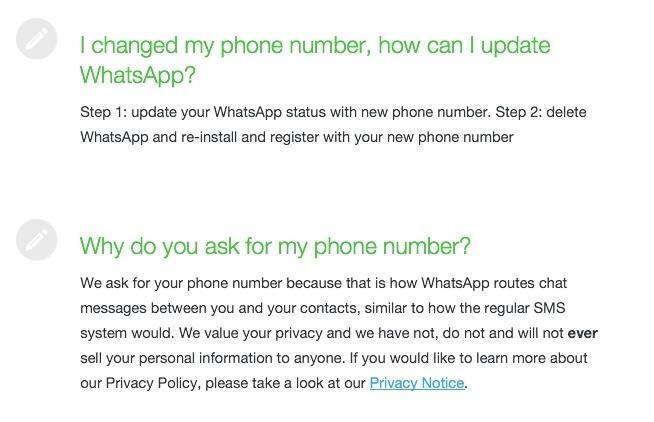 WhatsApp uses your phone number as your identity, although aside from an SMS message during initial setup, no messages are actually sent via SMS. One of the only complaints I had with WhatsApp was I could not complete the setup using my Google Voice number, you know the only phone number I actually use or give out. This dramatically limited the usefulness of WhatsApp as no one could find me, and if I started a conversation I first had to identify myself. I contacted WhatsApp support recently, and while they state that using a Google Voice number is not officially supported there is an easy way to make it work. I successfully configured WhatsApp for Android to work with my Google Voice number, I suspect it should work the same on iOS and Blackberry. 1. Install WhatsApp 2. When prompted for a phone number enter your Google Voice number 3. Allow the automatic confirmation process to fail (5 minutes on Android), while that is happening you will receive a text with a 3 digit code in your Google Voice account hang on to that 4. On the manual confirmation screen use the code received in your Google Voice account (if that does not work use the “call me” option to receive a call on your Google Voice number with a code. That’s it, you should now have WhatsApp configured to use with your Google Voice number. If you are using WhatsApp feel free to chat with me there.